You may be surprised to learn this, but in the animal kingdom, not every mother-to-be comes equipped with those motherly instincts. Not right away, anyway. Unlike human mommas who can’t wait to spend a bit of time away from their mini-me’s, even the shortest length of separation can cause an animal mother to reject her young, leaving them to fend for themselves. 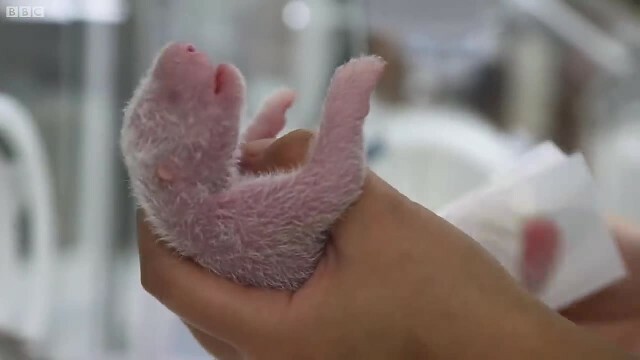 When Min-Min the panda gave birth to a baby, doctors and zoo staff had to conduct a full physical to make sure the tiny panda was totally healthy. However, in doing so, they ran the risk of Min-Min rejecting the newborn forever. After passing the physical examination with flying colors, the newborn panda was ready to reunite with its momma, but would momma be ready? But then something inside Min-Min’s brain clicked and…well, you’ll see. Staff members had to cover the panda with different scents in hopes that Min-Min would recognize her young and her motherly instincts would come out.